» Forum » Tech » Tech: Early solid state » Best soldering tool for pinballs? » Best soldering tool for pinballs? Best soldering tool for pinballs? I need a new soldering kit. What is the best one to get for pinballs? Separately, what is the best budget soldering kit? I don't really need a $3,000 soldering kit...even if it is the ABSOLUTE best. I've had one of these for 20 years. Works great for soldering stuff under the playfield. I don't recommend it for board work but is great for other things. The hakko 888 is the best 'price concious' balanced product for most pinball work. It's a good quality product and affordably priced. The weller digital temp controlled station is also good, but more expensive, and slightly larger. Get a spring powered desoldering pump.. and some solder wick - both used for removing solder and components. With that setup, you will be able to do both basic board work, and wiring work. Future upgrades would be to get a vacuum powered desoldering gun. (~300) and a more portable iron. But unless you are out on location... just moving your solder station and having one that does both types of jobs is fine. I will 3rd the hakko fx-888. Bought mine on Amazon with a 5 tip package. It works great. I also bought the 301 desoldering gun which is definitely pricey but does a fantastic job. Pick up some flux and some good solder, and you will be good to go. +1 for the hakko. Love mine. Made me instantly better at soldering. Transfers sufficient heat for anything ive needed to do. Mostly just use it for board work and bench top flipper assembly rebuilds. At a machine for under pf work i use a 35w corded weller iron but only since i owned it first. No reason why you cant use the hakko under there as well. Everyone loves the Hakko. If you want to go cheaper than that, check out this Weller for $39. When I started, I bought the Hakko FX888 and some wedge tips as suggested here and it is fantastic for the price. I’ve been meaning to get a regular iron as well for under playfield work as it can be a pain taking a soldering station to a machine. I also strongly recommmend the Hakko FR300 desoldering gun for board work. Using a tool like this is so much faster, easier, and safer than the other cheaper methods. It pays for itself in time savings in no time. Yes to all of this -- Hakko rukes! One more vote for the Hakko.. and a link. +1. I use the same for all of my mod work. Works great and is ready to use almost instantly. I chose JBC for alot of reasons, but maybe the best pinball related one is its optional 10 foot handpiece cablelength. It is very conveniant to be able to solder under the playfield while the solder station remains on the bench and not wobbling on the head, lockbar receiver or on te bottom of the cabinet where you just cannot reach the flippercoil lugs. In the cab and under the playfield is where I use a Weller W60P hand held iron instead of dragging out a whole bench station. The Hakkos are great stuff, I convinced our shop to switch to them from the Pace just to try them out. We are using the FM-206 3 port station. 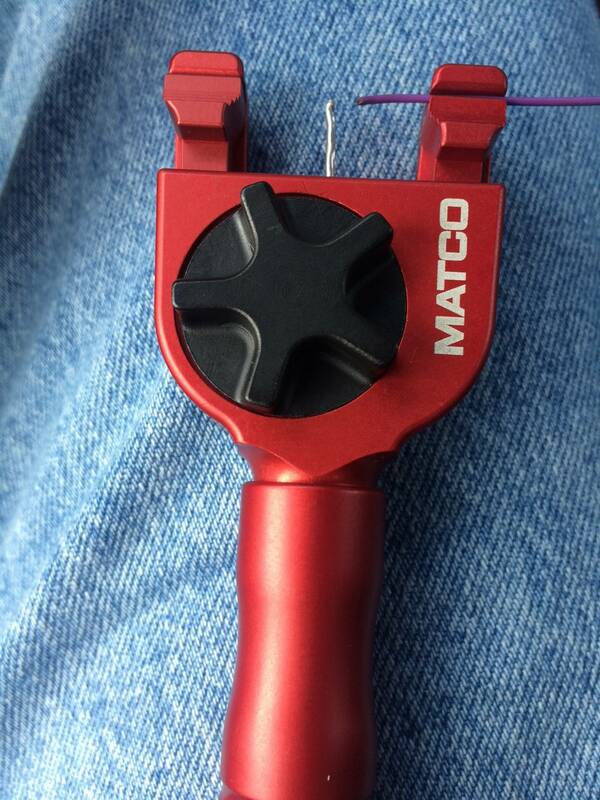 The tips are easy to change on the fly and last a long time with the auto shutoff stands. Heats up really quick too. We do quite a bit of soldering all day long with multiple people sharing the same station. Oh cool. I was just about to start a similar thread when I came across this. I got $100 in Christmas money burning a hole in my pocket and a cheap Radio Shack soldering iron that looks like it had a born on date in the 80's. I want to get something decent for under $100. Does anyone use a soldering iron under 20 bucks? Any good budget soldering irons you can recommend? It seems that all the best sellers on ebay and amazon are under 20. It holds the wire and you can feed solder with wheel in center. What part # is it? Hakko with extra chisel tip ordered. Thank you, pinside! I haven't really received any answers yet about budget soldering irons, but the tabiger keeps popping up on internet searches. Does anyone have any experience/opinions on the tabiger soldering iron? If you’re doing ANY kind of boardwork whatsoever, invest the $100 and get a good quality temperature controlled iron. That aforementioned Hakko is probably the best bang for the buck, and tips are readily found. My only gripe with it is that it’s tricky to adjust the temp with only 2 buttons. For that reason, I’ve been using an older Weller unit. Still works great and tips are easy to buy, and it’s easier to adjust the tip temperature. The key is to find an iron that has a sensor to keep the tip a constant temperature. That’ll keep it from overheating, which can lift traces, and it’ll keep it from going cold when soldering larger grounding planes. Both the Hakko 888 and the Adjustable weller units have this. For under $20, you’re not going to find much in the way of properly controlled units, BUT they are good for soldering wires under the playfield or for EM games, where super stable temperature control isn’t necessary. Plus they’re smaller and easier to tote around. Just don’t use them for boardwork. I still use it and it works great for working on a game when I don't want to drag out the larger station. The tips are ok but a set of hakko tips are much better. I have an older metcal sp200 works great. If you watch ebay you can grab one for under $100. The tips set the temp and control the temp. I watch ebay for deals on the tips too. I have just about every one in the 7xx series. I'm old school but I love the wellers soldering irons. The older Hakko (made in Japan) are good too but the newer Hakko are made in china and feel cheap to me. As for the sponge vs brass wire cleaner it's a toss up. The sponge works very well. Just give it a few seconds for the iron to heat back up. The brass wire doesn't remove heat from the iron so that's the advantage. I would highly recommend the Hakko tip cleaner though. Also, before you turn off your iron clean the tip thoroughly with a sponge and the tip cleaner. And buy real plated tips. Tabiger seems to be the best budget soldering tool (around $20), according to numerous publications found through research. I just tried out my new Hakko 888d. Wow! It got up to 750 F in a few seconds. That beats my old Radio Shack one that took about 5 minutes. I wish the controls were more intuitive though. Luckily, there are pretty clear YouTube videos for how to use it.